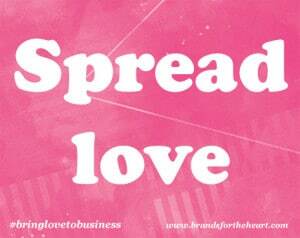 Here are 3 tested and true ideas to inspire your customers to find your brand irresistibly loveable. 1. Give them a gift first. Before you go in for the kiss (otherwise known as the sale), give them a little something first, not a diamond ring but something simple like your best advice or a free trial of your product. Give before your ask. Great lovers are always looking for new ways to bring more value to their relationships. So why not ask your customers for feedback on what they need and how you can serve them even better. Starbucks is making millions from listening to customer feedback as a means to co-create new product ideas like the famous frappuccino. I wrote a great article here with sample survey questions to help you get started. 3. Romance them with an experience. Lovers go away on weekends together. How can you bring your community together for an event? Why not invite them to a weekend workshop, evening event, webinar, or a closed Facebook community just to name a few ideas. In the comments below, I’d love to hear from you… how do you make love with your customers?